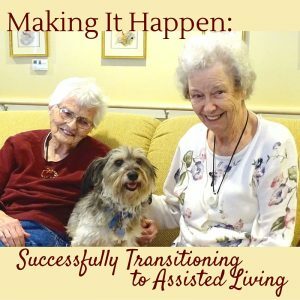 The Village at Cedar Hill, the premier assisted living in Windsor, is pleased to host the next presentation in their popular Speaker Series, “Making it Happen: Successfully Transitioning to Assisted Living”, a panel discussion presented by The Village at Cedar Hill Team: Mary Louise Sayles, Patricia Horn, Melissa Snyder, Sue Spadaro and Denise Vanguilder. Following the presentation, there will be time for questions or comments. Refreshments will be served. Admission is FREE. The Village at Cedar Hill Speaker Series will continue throughout 2017, with presentations on Medicare, and Medication Management in the coming months. Cedar Hill Continuing Care Community comprises Cedar Hill Health Care Center and the Village at Cedar Hill, a Vermont based, family-owned & operated senior community, providing a supportive and comfortable home to seniors in all stages of life.